Managing storage continues to be complex, and often expensive. Something needs to change and it certainly won’t be a dramatic increase in budget or staffing. 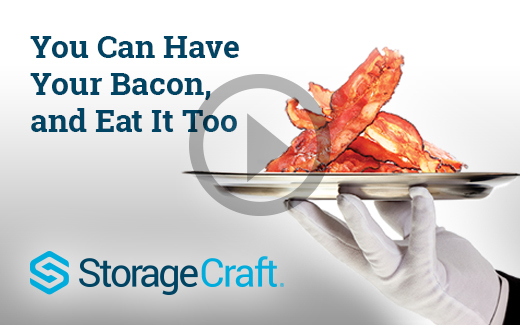 Fortunately, StorageCraft’s OneBlox all-flash storage is the answer. By delivering a next generation scale-out storage at less than $0.40/GB, organizations can utilize OneBlox 5210 all-flash for both virtual server and backup/recovery infrastructure. With OneBlox, organizations can recover applications in less than 90 second with StorageCraft ShadowProtect and Veeam while enjoying inline variable-length deduplication, compression, infinite snapshots, encryption and remote replication. OneBlox delivers high performance and enterprise-class features at an affordable price—saving enough money for extra bacon. Register today to learn more! 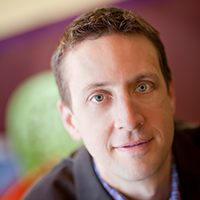 Sean Derrington joined Exablox, now StorageCraft, with more than 20 years of storage experience. Most recently from Veritas/Symantec after multiple product marketing and management positions covering storage management, cloud, and virtualization solutions. Before Veritas, he was the lead storage analyst at Meta Group. He holds a B.S. in Material Science and Engineering and a B.S. in Engineering and Public Policy, both from Carnegie Mellon University.